Acupuncture, Electrical Stimulation, & Cupping is an excellent combination for whole body wellness. Acupuncture can treat all varieties of illness from gynecological issues to pain syndromes. The diversity in uses of Chinese Medicine is illustrated by the amount of years it has been practiced in the world; thousands. Some highlights of Chinese Medicine are its ability to provide therapy for pain, Bells Palsy, infertility, anxiety, TMJ, and Migraines. Electrical Stimulation is used as an adjunct therapy with Acupuncture for pain and point stimulation. Cupping is also an adjunct therapy and is good for warming meridians, assisting immune function, and providing additional pain relief. Deep Tissue, Trigger Point Therapy, Acupressure and Tui Na are some modalities used at SoulStrong. 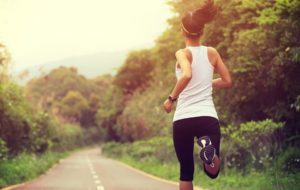 These techniques are used to assist you in becoming a better athlete and a healthier being. The benefits of massage include increased circulation, stress relief, and pain relief, Massage is good for everyone including people who are hesitant about Acupuncture and children! Many people, especially children, are not comfortable with Acupuncture needles and Acupressure can be used instead of needles with similar results. Massage is a great way to experience point stimulation without fear and can lead many to overcoming the fear of Acupuncture needles. Holistic Healing Means whole body healing, and some treatments (like weight loss of injury recovery) should be accompanied by a fitness routine to be successful. Mind, Body, & Soul Strength. Functional Training is a style of training that is designed for people who want to be whole body fit and functional. Types of exercise include body weight exercises, core building, and strengthening around injuries or weaknesses. Functional training is good for the every day person but not necessarily designed for body building or more strenuous training styles. The functional training goes hand in hand with injury recovery. We want to strengthen around injuries and provide pain relief through movement. SoulStrong Wellness is a place to achieve holistic wellness. We help individuals plan and execute a lifestyle of health & fitness, as well as illness recovery & prevention. The SoulStrong mission is that of holistic wellness, which translates to Whole Body wellness. To achieve whole body wellness one must integrate a functioning meridian system, balanced musculature, complete nutrition, and the discipline to follow a healthy lifestyle. Brandi Wright-Dohopolski, LA.c has over 15 years of education in physical sciences. She is a certified personal trainer through NCSF, A licensed Acupuncturist in California, and a Sports Massage Practitioner. She is a Minister, an athlete, a martial artist and a Mother. She is a true Healer, and her dedication to patient Wellness is not just a passion, its a lifestyle. At SoulStrong Wellness, you can realize your true Strength, your SoulStrength, which will transform into longevity and health. Join our community today so that your treatments can begin. The fusion of Acupuncture, Massage, & Personal Training will create balance in your life. You will see the truth within our mission while becoming a better athlete and a healthier being.